Photo © Onassis Cultural Centre. 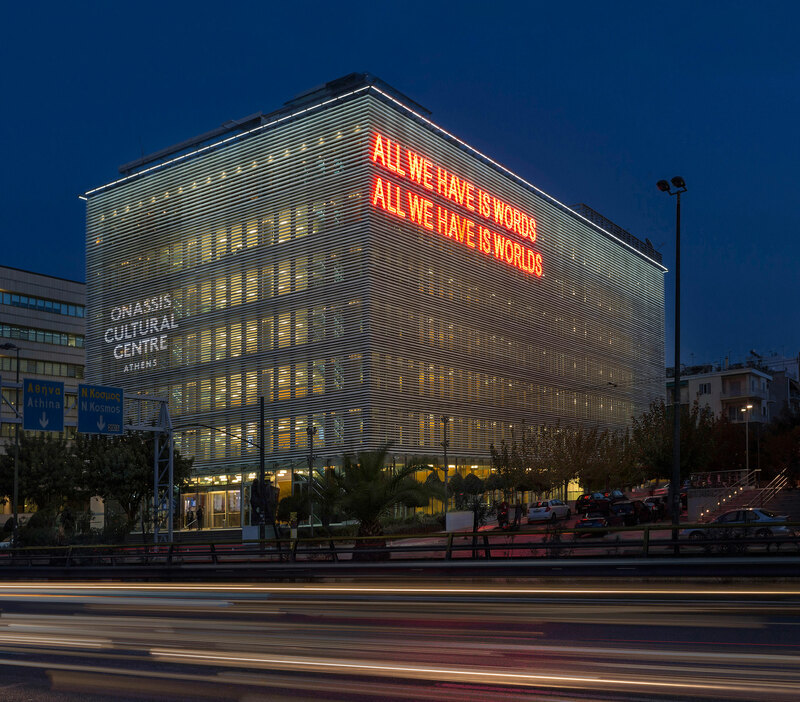 Inaugurated on December 7, 2010, the Onassis Cultural Centre (OCC) changed everything. It grabbed a half-drowning city by the collar at a time when Athens, stranded in the credit crunch mire, was rapidly losing direction, and literally shoved it into the future. Seven years later, locals still haven’t lost their appreciation for the cultural hub that has practically become synonymous with contemporary art. The OCC doesn’t just offer artists and innovative disciplines a new launching pad, it has also became the breeding ground for a new kind of audience that is inquisitive and willing to learn. Its inclusive spirit has embraced the entire city, making dancers out of senior citizens, printers out of school-aged children, theatrical directors out of angsty teenagers and faithful followers out of everybody else. Visit the OCC at any time of day, and you’re most likely to be faced with a choice of world-class performances, workshops and exhibitions – with a cherry on top: The Hytra restaurant on the 6th floor! This Michelin-starred temple to haute Greek gastronomy is the perfect stop in-between shows, keeping guests happy with an excellent, locally-sourced wine list and a panoramic view of the city during the summer months, when the entire restaurant migrates to the roof.